No one was hurt when a freight train ran into a short school bus stuck on the tracks on John Wayne Parkway this evening. 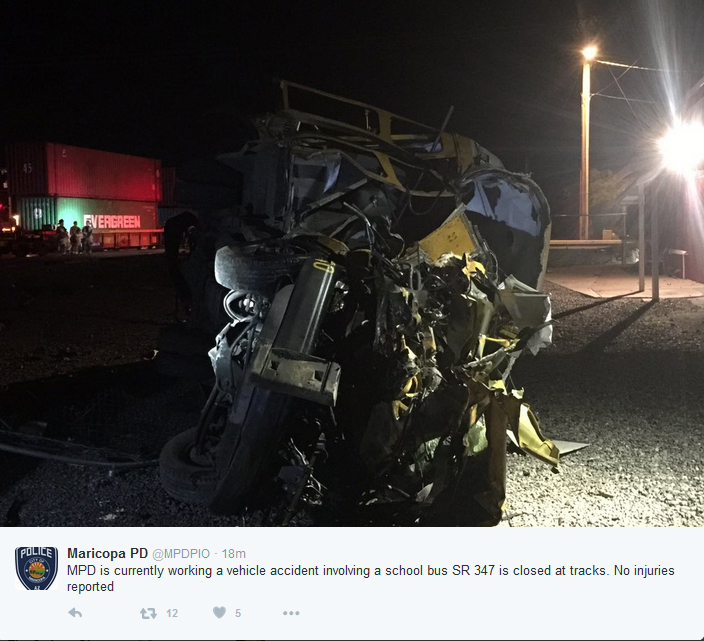 The Maricopa Unified School bus was empty except for the young driver. Following bus protocol, she had stopped at the tracks and spotted the west-bound train far down the tracks. However, the bus remained stopped. She radioed for help after she tried to get the bus to go forward or backward without success. 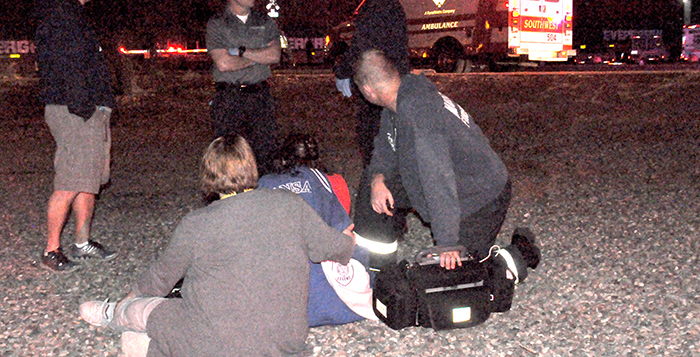 With the train bearing down, she grabbed her belongings, exited the bus and ran off the tracks before the collision. The driver, sitting on the ground, was in a state of shock as friends and co-workers gathered at the scene beside the Amtrak station. 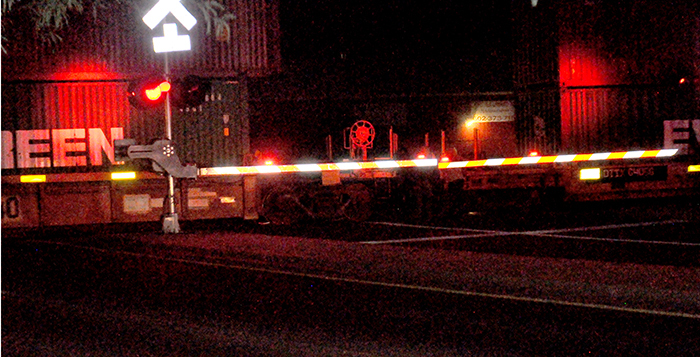 With the train finally stopped hundreds of yards past the impact, the intersection was closed. 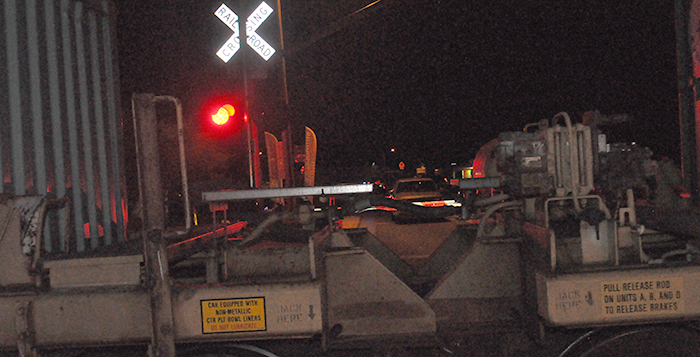 Traffic needing to cross the tracks was re-routed down Farrell Road. 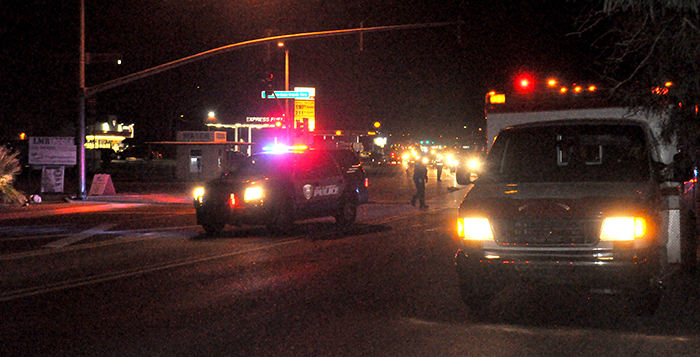 Maricopa Fire Department and Maricopa Police responded to the scene. The driver’s vitals were checked, and the train and Union Pacific Railroad tracks were inspected in the dark as the investigation began. Get that overpass project on the fast "track" and leave the tracks behind….